NORTH CREEK, NY – JB-lighting and its U.S./Mexico distributor, Creative Stage Lighting (CSL), announced a new product, the JBLED A4, a licensing agreement with Philips Solid-State Lighting Solutions, and ETL certification for the JBLED A7. 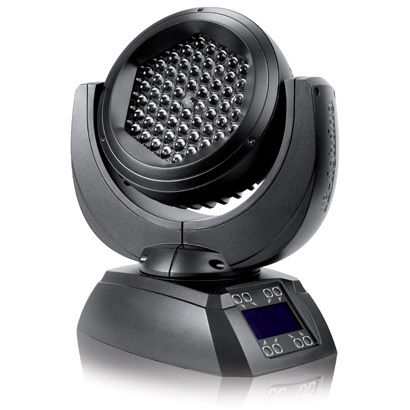 The JBLED A4 is an LED moving head fixture designed for use on smaller stages, clubs, and other smaller venues. The A4 contains 60 Luxeon LEDs and features the same optical zoom system found in the JBLED A7. The licensing agreement with Philips Solid-State Lighting Solutions falls under Philips' LED Luminaires and Retrofit Bulbs license program. "At JB-lighting we are active in R&D as well and we believe that intellectual property is the basis for a company's continuing development and therefore must be recognized," said Jurgen Braungardt, director of JB-lighting. The JBLED A7's ETL safety certification means that the fixture is able to meet stringent safety and quality assurance standards. For more information, please visit www.creativestagelighting.com.